Rewind time and create an entertaining dining experience with the retro designs of this 50's soda fountain bar table. The round top in a white finish, rippled chrome rim, and chrome single pedestal compose a distinctive look. Rewind time and create an entertaining dining experience with the retro designs of this 50’s soda fountain bar table. 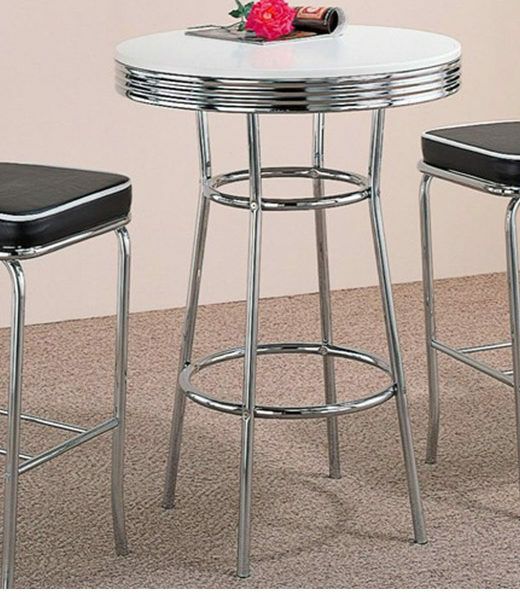 The round top in a white finish, rippled chrome rim, and chrome single pedestal compose a distinctive look. 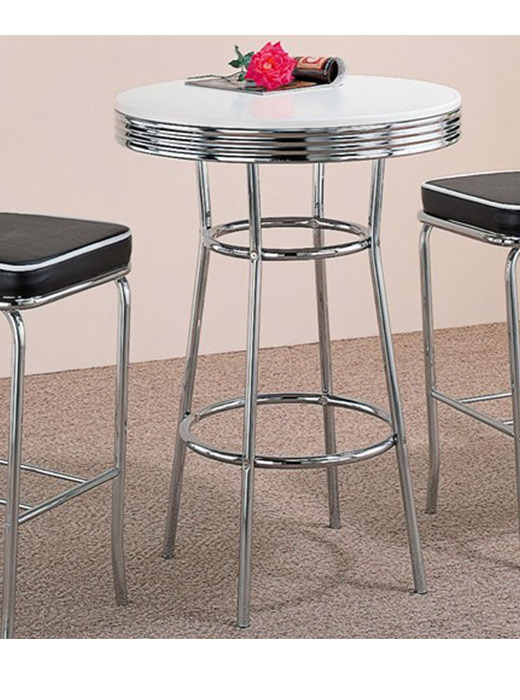 Pair with the coordinating chrome plated pub chairs for a complete 1950’s diner appeal!